3. Wellington, Rusty Ducktail [unissued] uniss. 6. Wellington, Rusty Rockin' The Blues [unissued] uniss. 9. Wellington, Rusty Rock 'N' Roll Ruby [unissued] uniss. 11. Coleman, Ray Everybody's Rockin' Tonight [unissued] uniss. 14. 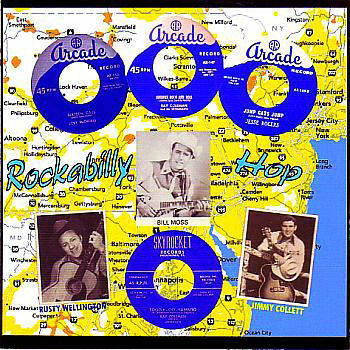 Wellington, Rusty I Want A Little Lovin' Arcade (Pa.) AR-124 1954/Apr. 15. Wellington, Rusty Sixteen Cats [unissued] uniss. 16. Coleman, Ray Rock With Me Baby [unissued] uniss. 21. Coleman, Ray I'm Rockin' [take 1] [unissued] uniss. 27. Coleman, Ray I'm Rockin' [take 2] [unissued] uniss.